Since my early days as a biologist walking through the dense forests of the Atlantic Forest in southeastern Brazil, I was amazed by the diversity of small vertebrate faunas I could find there. Of particular interest to me, squamates comprise a significant portion of that diversity. There are approximately 1600 species of lizards and snakes inhabiting South America. This amazingly rich fauna is, along with Southeast Asia, the most species rich region of the world regarding lizards and snakes. South American lizards include entire families that are conspicuous to South America, such as teiids (tegu lizards), gymnophtalmids (glass lizards), various pleurodontan iguanian families, such as liolaemines, tropidurines, and leiosaurines, among others. Although some species in those families occur elsewhere, especially in Central America, a vast number of species are endemic to South America. In the face of such exuberant modern diversity, there is surprisingly very little information about the earliest stages of lizard evolution in South America. During my MSc research in Brazil, I tried to answer some fundamental questions on how lizards first evolved in that continent, including: How old are the oldest fossilized remains of lizards in South America? Which particular lizard families they belong to? 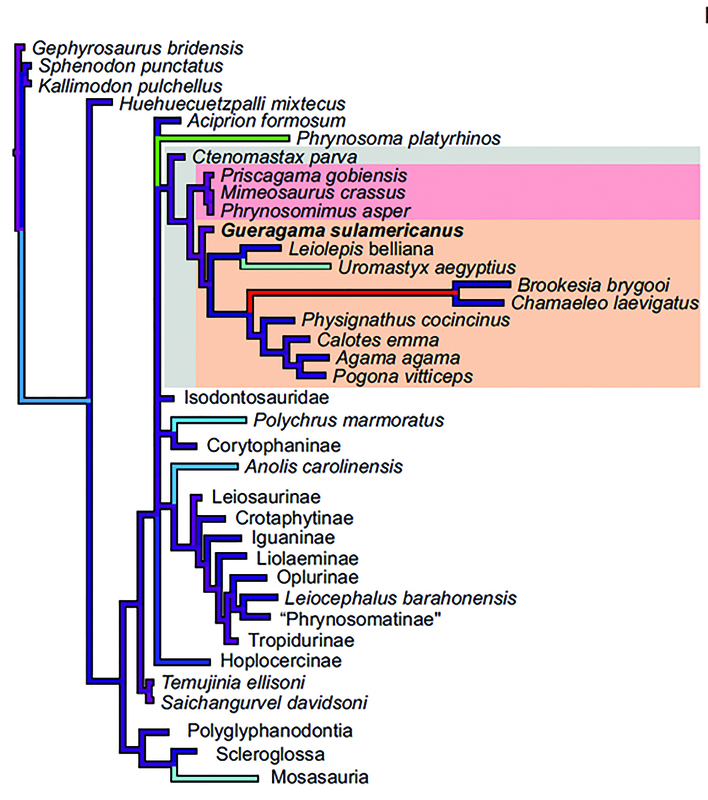 How diverse were those ancient lizard faunas? Answering those questions is a tremendous challenge given the very poor fossil record of squamates in South America. For instance, during the entire Mesozoic, terrestrial lizard records in South America (excluding marine lizards, such as mosasaurs, and snakes) sum to only 10 published records, including six named species. The situation in other Gondwanan continents is not much different, and all named species for the entire Mesozoic of Gondwana sum up to only 10 named species (six from Brazil, three from Morocco and one from Tanzania). This number was slightly higher, but recently, two species previously named from India were discredited because one seems to be a Cenozoic fossil found in Mesozoic sediments, and the other has been more recently reassigned as a sphenodontian reptile. Therefore, there are no terrestrial lizards from the entire Mesozoic of Australia, Antarctica, and India. These extremely scarce record is in deep contrast to the more than 170 named species of terrestrial lizards from Laurasian continents during the Mesozoic, especially from the Late Cretaceous of Mongolia (I will eventually write about Mongolian lizards too as they deserve a full discussion of their own). Recent fossil evidence, however, has provided some valuable insights into the early stages of lizard evolution in South America. One such case was the discovery of Gueragama sulamericana, from the late Cretaceous of Southern Brazil (published by myself and my colleagues in 2015). In stark contrast with the extant and fossil record, in which only pleurodont and iguanians are known from South America, Gueragama represents the first record of an acrodontan iguanian in South America. 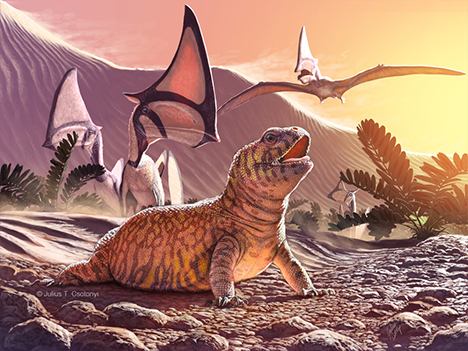 This finding greatly altered our perception on the composition of the earliest lizard faunas in South America, by indicating that this fauna included elements that are found today only in Old World continents, and that had never been thought to be present in South America. This finding also provided important clues into the acquisition of the acrodont dentition that gives acrodontan iguanians their name and which make them clearly distinct from all other iguanian lizards. 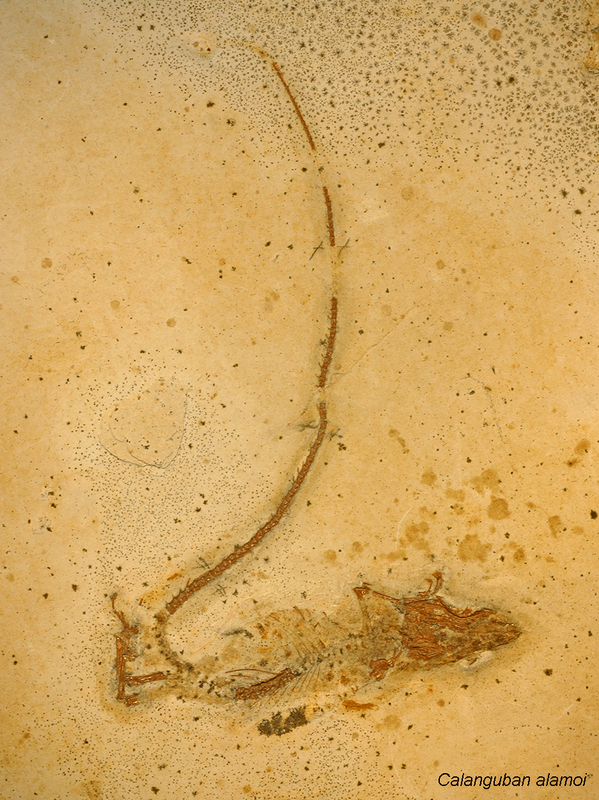 Gueragama is not the only fossil lizard that was published as an iguanian from the Cretaceous of Brazil. Two other taxa, namely Pristiguana brasiliensis and Braziliguana prudentis were published as pleurodont iguanians from Brazil, also making them some of the oldest iguanian fossils in the whole world. Calanguban alamoi (another species named by myself and colleagues) differently from the other species mentioned above is not an iguanian. This taxon bears some important anatomical similarities to another group of lizards that are, in South America today: the tegu lizards. However, because of poor preservation of important diagnostic characters, its systematic placement has never been definitive. The same is true for other fossil lizards from Brazil, such as Tijubina pontei and Olindalacerta brasiliensis. Curiously, Calanguban, Tijubina, and Olindalacerta all come from the same locality (the famous Crato Formation, in northeastern Brazil) and are represented by juveniles. Those species also represent the oldest fossil squamates from South America and are key to understand how lizards first evolved in that continent. However, until additional specimens with more complete preservation are found, those answers will probably continue to be hidden in the distant past. Now, those of you who are knowledgeable about fossils may have noticed I did not talk about a very important fossil find made in Brazil recently—Tetrapodophis, the very controversial (both legally and scientifically) squamate, that was proposed to be the first fossil of a four-legged snake on Earth. It also comes from the Crato Formation in Brazil and is quite similar in preservation to other specimens from that region that I studied during my MSc. Well, that will be food for another story…!